It's just been announced that The CW has cancelled their prequel, The Carrie Diaries, the space crashed series, Star-Crossed and there will be no more days for The Tomorrow People. Viewers just did not tune in enough to warrant keeping them around. Also, if you happened to catch the mediocre backdoor pilot on Supernatural the other week, that potential new series also did not make the cut for the upcoming 2014-2015 season. It had a very poor response from fan tests. The CW has renewed Beauty and the Beast, Hart of Dixie and The 100. These three join the already renewed series Supernatural, The Vampire Diaries, The Originals, Arrow and Reign. But then again, if you follow Cinema Static, back on April 21st, we saw CW's announcement about Beauty and Beast. Right? If you watch Arrow, you know we already met Barry Allen, who had his freakish accident with electricity. And now we learn that the show, The Flash, has been picked up by The CW. 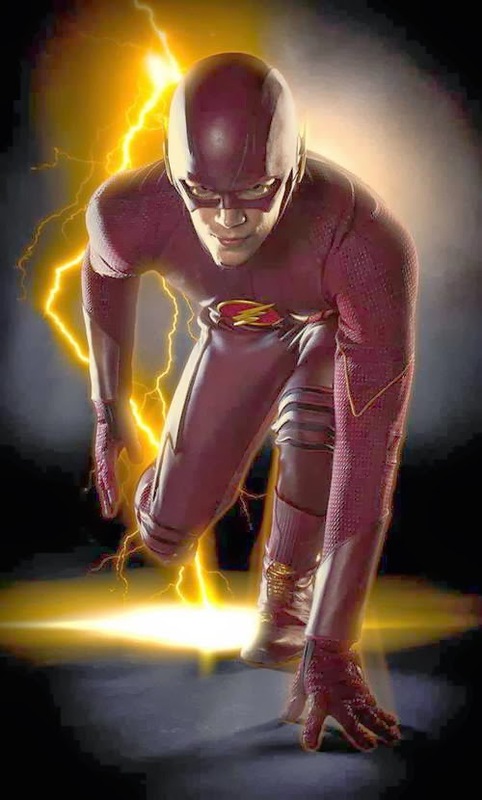 The cast includes Grant Gustin (Barry Allen); Jesse L. Martin (Det. West); Tom Cavanaugh (Harrison Wells). A girl who is turned into a zombie, takes a job at the coroner's office to have access to fresh brains. But in eating the brains, she has to deal with the memories of those people. And thus, she ends up helping murder victims. This is adapted from a Venezuelan telenovela and follows a hard-working, religious Latina woman who is accidentally artificially inseminated. A group of unconnected strangers die from an energy pulse, but only awaken to learn that they are responsible for preventing an impending Apocalypse.